A type of exchange visitor program that is culturally based and regulated by the Department of State, is referred to as the Au Pair Program. 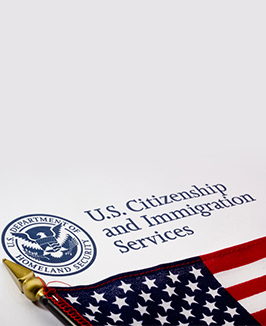 The only people that can bring Au Paris into the United States legally are designated agencies who handle all of the paperwork and logistics. Individuals wishing for this type of status must first find a suitable family. They must then choose from a number of officially authorized agencies in the United States and contact that agency. Working with such an agency, they will prepare for their placement and fulfill all visa requirements. After obtaining their visa, they will participate in an agency sponsored orientation program. With a legal J-1 cultural exchange visa, Au Pairs are allowed to stay with a host family for one year. When that year has concluded, the individual may choose to either stay with the current family and extend their stay for one year or choose a new family for six months, nine months, or 12 months. They must, however, be in good standing with the program in order to do so. Individuals from any number of countries will be allowed to become USA Au Pairs. That said, if the individual is a citizen from a country that does not maintain a relationship with the United States that is diplomatic, they will likely be denied. Additionally, they will be denied if they do not apply through one of the designated agencies. In many instances, an Au Pair living as part of or with a host family becomes a domestic assistant of sorts. It is not uncommon for these individuals to do housework or care for the children of the family. For this they should receive, for personal use, a monetary allowance.